Home BrainBlog: Brain Supplements UK 6 Coffee Alternatives You Should Try Today! This blog post covers six coffee alternatives that you might want to try. We will discuss questions such as 'Why do we need a coffee alternative?' and suggest coffee alternatives that taste like coffee as well as caffeine-free coffee substitutes. Moreover, we will discover healthier substitutes for coffee as well as our recommendation for the best coffee substitute. Why Do We Need A Coffee Alternative? The cup of coffee in the morning, the coffee break at 2-3pm to overcome that afternoon slump, brunch with friends, catching up over some coffee, an espresso to finish a nice meal or a quick coffee to go on the way to work... there are endless occasions to enjoy coffee. Coffee is popular for its taste, its texture and variety but, maybe most importantly, for its stimulating effect on us. The compound in coffee that has that energizing effect on us is caffeine. Once consumed, caffeine binds to neuroreceptors in the brain’s nervous system preventing the attachment of adenosine molecules to the respective adenosine receptors. In fact, most people will recall times where they have had too much caffeine before going to bed preventing them from falling asleep. When drinking coffee, those are exactly the effects that many will seek. Maybe you’ll have experienced having a migraine or feeling jittery after consuming that fifth or sixth cup of coffee. Others simply do not like the taste of coffee, finding it too bitter. As with most other substances, consuming too much can have a severe impact on health. A general guideline advocated by the FDA (U.S. Food and Drug Administration) is that consuming up to 4 cups of coffee per person per day is relatively safe. However, your personal tolerance may vary. Moreover, caffeine is also found in other natural sources such as teas and cacao, therefore, keeping an eye on your caffeine consumption is generally advisable. If you feel like you might be consuming too much coffee, or you would simply prefer to consume less, why not have a read of the alternatives below. You may really enjoy the taste of coffee but wish to cut down on the amount of caffeine consumed. 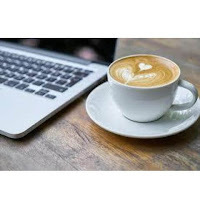 So-called caffeine-free coffees and other products usually contain a small percentage of caffeine, but maybe worth a try if you are seeking to substantially reduce your caffeine consumption whilst not cutting it out completely. These coffees will be very similar in taste to your ‘normal’, i.e. caffeine-containing, coffee. You might, in fact, not feel a difference. If you would like to fully cut out on caffeine, there are other alternatives for you. Now, if you really love coffee, saying these alternatives taste like coffee, might not convince you. However, there are substitutes that are similar to coffee in texture and resemble the coffee drinking experience. Supermarkets commonly offer coffee alternatives made of roasted grains and roots that are probably the closest thing to the taste of roasted coffee beans. There are multiple versions of these so you might want to try a couple before settling for one that suits you best. Another coffee alternative, called teeccino, is made of a blend of roasted herbs, fruits and grains. 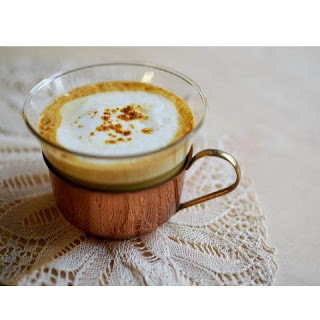 Again, while these alternatives will obviously taste different to coffee, you can prepare them in a similar way, add some foam and drinking them will be similar in texture and experience. If you feel that nothing can resemble the taste of ‘true’ coffee than it might be worth trying a different tea-based alternative such as caffeine-free chai tea lattes. Matcha green tea is also a fantastic alternative, having a high amount of antioxidants, as well as an amino acid called L-Theanine, known for its brain-boosting and calming effects. The texture will be very similar to that of a latte made using coffee. And you might enjoy drinking something completely different in taste but with a similar making. Most of the above substitutes will be naturally caffeine free. It is worth double-checking at the supermarket or at the café. If you wish to consume teas or coffees that were processed to be caffeine free, most of them will contain a small amount of caffeine. The above alternatives try to resemble coffee in one way or another. If you are happy to try out something completely different, you might wish to read more about other natural ingredients such as turmeric, ginger, cinnamon and honey that have been found to have positive effects on the body. An example of a trending drink containing these ingredients is the ‘golden milk’. Whether you use milk or a plant-based alternative is up to you. The name stems from the colour of the drink which is mainly influenced by the turmeric and the cinnamon. You can vary the level of sweetness by finding a ratio that works for you. A good starting point might be to use half a teaspoon of each ingredient, stir it into the warm milk and then add as needed. This is a warming drink including ingredients known for their anti-inflammatory capacities. Definitely worth a try, regardless of whether you are trying to cut down on coffee or not. 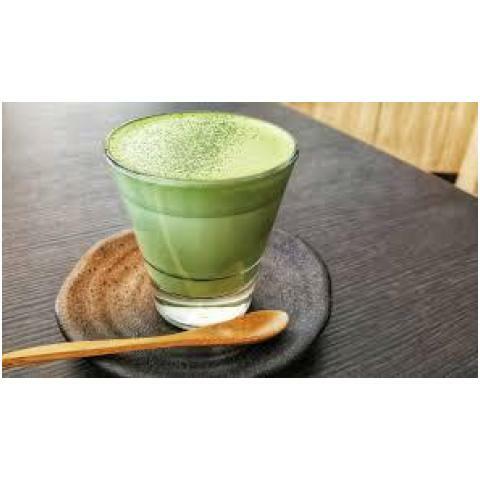 Matcha is not caffeine free but often suggested as a coffee substitute nevertheless. This is due to other ingredients of matcha counter-acting some of the side-effects of caffeine. Matcha green tea powder is made using green tea leaves. You can think of it as a concentrated version of the loose tea. Green tea contains antioxidants (called catechins) that benefit health by preventing cell damage due to oxidation. For that reason, matcha is claimed to boost both mood and brain function. While direct measurements on mood and cognition may disagree, a 2012 study suggests that matcha does seem to lift mood by reducing stress and calming the consumer. Responsible for this effect is a catechin called epigallocatechin gallate (EGCG) which is 137 times more concentrated in matcha than in loose China Green Tips tea. Another important ingredient of matcha is L-theanine, which works together with caffeine to promote performance. L-theanine is an amino acid which has neurochemical impacts on the brain that iron out the ‘side effects’ of caffeine by lowering blood pressure and consequent arousal. Together, caffeine and L-theanine enhance cognitive performance by helping to focus attention on a task. While matcha positively affects performance and attention, the extent to which this happens needs further research. Similarly, the amount of EGCG, caffeine and L-theanine consumed is of importance. Therefore, the form in which matcha is consumed has an impact. There is a range of products that contain matcha from plain tea to snack bars. In 2017, a research team found that the drinks seem to be more effective. Basically, the more concentrated it is, the stronger the effect. Please keep in mind l-theanine only counteracts some of the side effects of caffeine. Drinking too much matcha tea will have adverse side effects, just like over consuming any other caffeine-containing product would. Apart from the above, making sure to stay hydrated and to take breaks while working or studying, going for a short walk during the day and so on, are all other strategies and ways that might help you feel more energised. A combination of a balanced lifestyle and diet with the coffee alternatives and supplements suggested will most likely prove to be the most effective way to feel energised. It is our belief that BrainZyme® is the best coffee alternative currently on the market anywhere in the world. BrainZyme®, in our opinion, is the best coffee alternative on the market. It has been scientifically proven to increase concentration, mental performance and energy, making you far more productive than a cup of coffee on its own. Not only does it make you more productive, but it lasts longer, has fewer side-effects, no crash and is cheaper than buying a coffee from a cafe every day.